There is hope in our hawker scene when another young hawker ditched her office job and started a hawker stall at Holland Drive Food Centre selling Rojak. 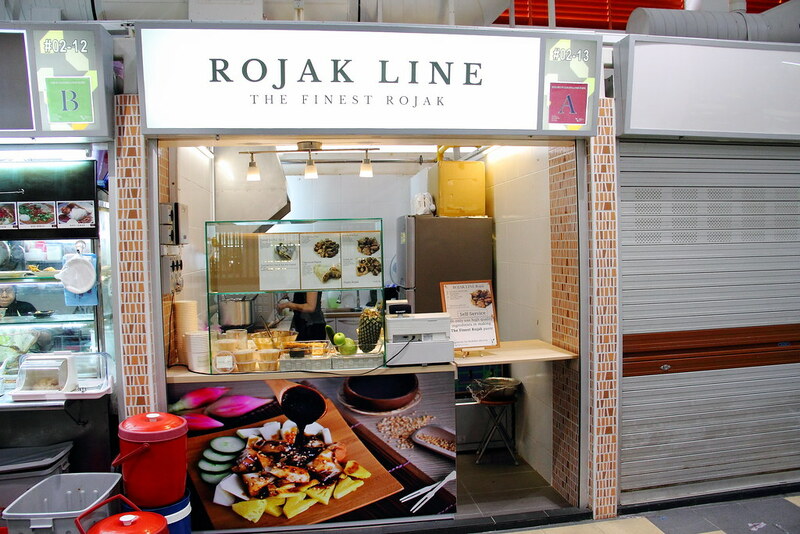 The month old Rojak Line is started by 31 years old Debbie, who likes rojak but cannot stands the taste of the shrimp paste. Hence she created her own vegetarian shrimp taste. 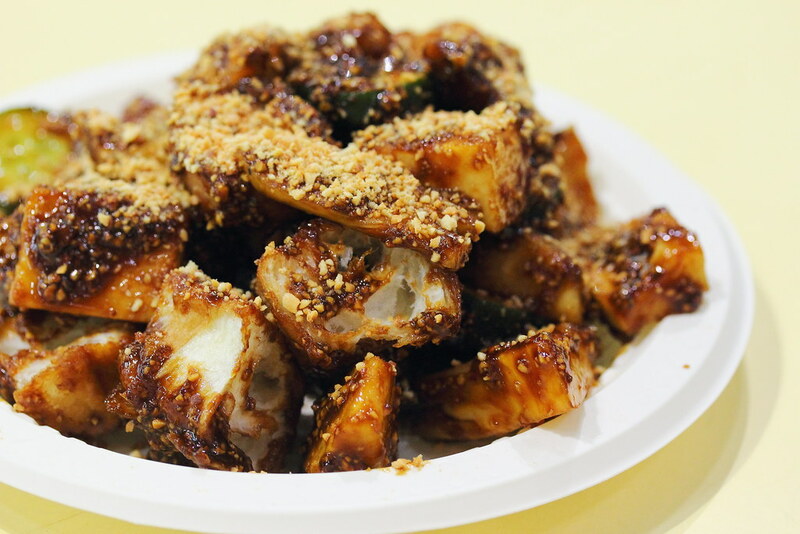 The plate of Rojak ($4/$5/$6) comes with fruits, cucumber, toasted you tiao (dough fritter), tau pok and topped with peanuts. We like the sweet and tangy shrimp paste sauce that is used to hold the variety of ingredients together. It was only later when we chatted with the owner that we realized she is using her own special vegetarian shrimp paste sauce. We could not tell the different at all. It is really good. 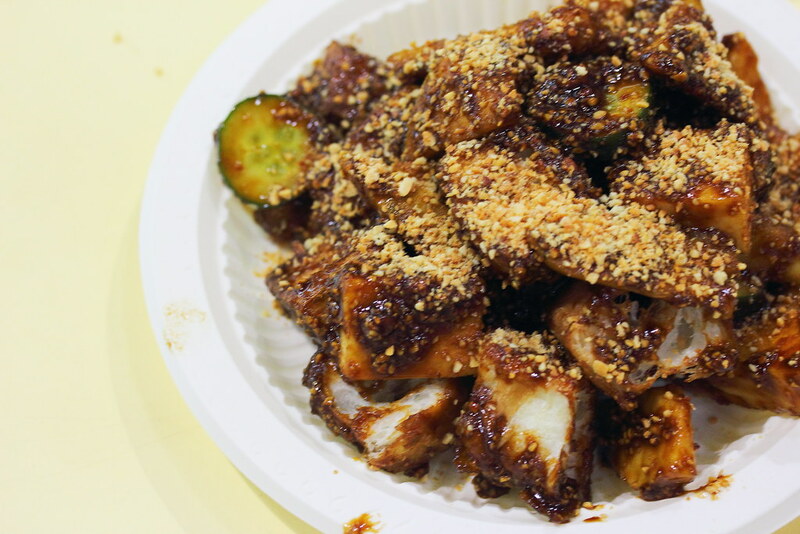 The weak link for the plate of rojak is the doughy you tiao. For it to be crispier, it needs to be toasted a bit longer or at least cut into smaller size.The pineapple was not ripe enough so it was a bit hard to bite. If it is riper, the sweetness will it a nice balance to the whole execution. 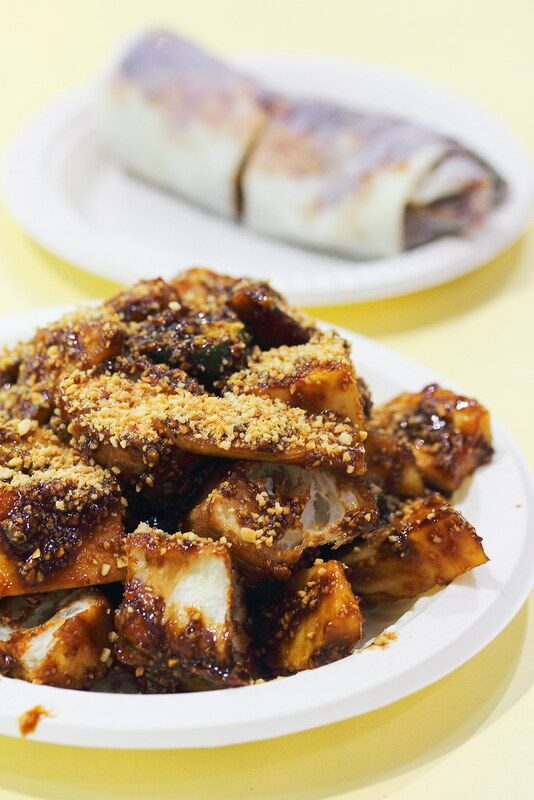 A interested dish on the menu is the Toasted You Tiao Popiah ($2). 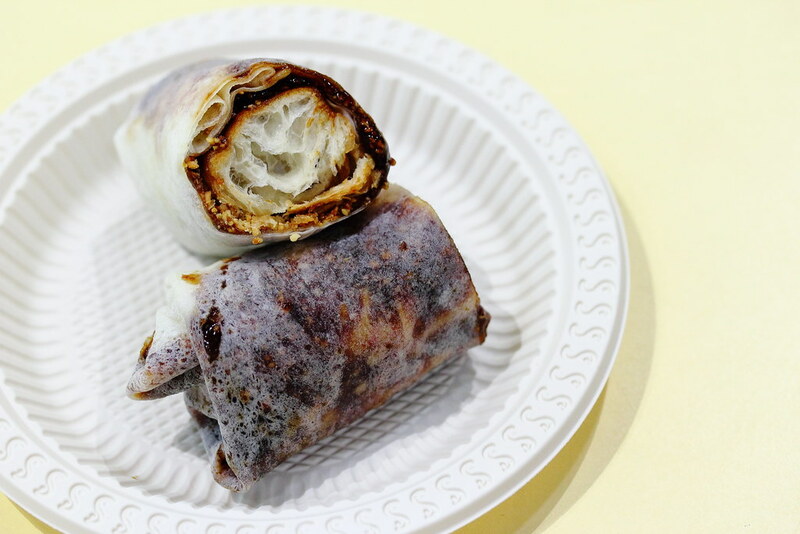 The toasted you tiao with the special vegetarian shrimp paste sauce and peanut is wrapped with popiah skin. I thought this is an interesting way of bringing two traditional dishes together for a new eat. While my friend do not like the doughy you tiao, I thought otherwise. I find that the doughy texture suit the whole concept, as if I am chewing a churro. Another popular item at the stall which we did not get to try as it was sold out is the Vegetarian Popiah ($1.80) that comes with turnip, carrot, salad, shitake, sweet sauce, crispy bits, peanut, chilli and garlic. Vegan may request not to have garlic. Overall, I am impressed with the vegetarian shrimp paste sauce. This is my first time having it and I have to admit I will not be able to tell the different if the owner has not revealed to us. It is only a month into business, so I am sure there will be some fine tuning and improvement along the way. I really look forward to Rojak Line scaling new heights in the new future. All the best.